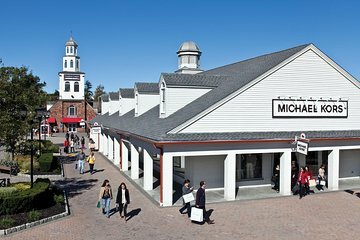 Forget the hassles of traffic and driving from New York City to the Woodbury Common Premium Outlets. Enjoy round-trip shuttle service from New York City to Central Valley. Save 25 to 65 percent every day on designer and name brands like Coach, Gap Outlet, Nike, Polo Ralph Lauren and many more. Also, receive a free VIP coupon book for additional discounts on brand name merchandise. Round-trip shuttle service plus a store directory are included.